This is a how-to focused on creating a RESTful java object at Android. I’ve used HTTPClient, HTTPEntry, HTTPGet, HTTPResponse, JSONArray and JSONObject classes. I think it’ll be useful if we need to use a web-service from client application. I’ve implemented a simple Java Object called RestClient which connects to a given Rest-JSON service. After connection, this object prints response content. Using this content, a JSONObject created. Then, RestClient prints the JSONObject’s content, parses all values of this object and prints them as well. And as a last job, RestClient pushes a sample value to the JSONObject. I’ve uploaded RestClient. Hope it’ll be useful. P.s: To get access to internet at Android, following field must be included to AndroidManifest.xml file of the project. I was interested to see how I could use Linq to SQL with WCF Services to load and save data using a Silverlight project. In this post I will expand upon the database I created in my Linq to SQL Tutorial and the console application I wrote for my Set inheritance modifiers with SQLMetal post. Here I am using the IsNew property I created in my Set inheritance modifiers with SQLMetalpost to check if the entity is to be inserted or updated. The insert code is simple enough, but for the update we have to attach the entity to the DataContext as it has been modified outside of the DataContext’s scope. I’m at doing this using the Attach method of the Student table, passing true for the asModified parameter to state that the entity has been updated. An entity can only be attached as modified without original state if it declares a version member or does not have an update check policy. SQLMetal will also detect a column with the timestamp type and set the necessary attributes. With this timestamp column set up it will now be possible to successfully update an entity that was changed by the client. Row not found or changed. Using the O/R Designer this field can be set to a timestamp by setting the Time Stamp property to True, which will automatically set Auto Generated Value to True. Doing this adds the following values to the Column attribute on the UpdateDate property in the Student entity. You can see IsVersion=true which tells Linq to SQL this property is the timestamp. The UpdateDate is now set for each update and is used by Linq to SQL as the timestamp. In “theory” wcf with basic http binding and asmx should work the same. It could be something to do with how your WCF service is configured. We get a similar problem if we configure TransferMode Streamed on the client and Buffered on the server. Although not sure if this is relevant in your case. 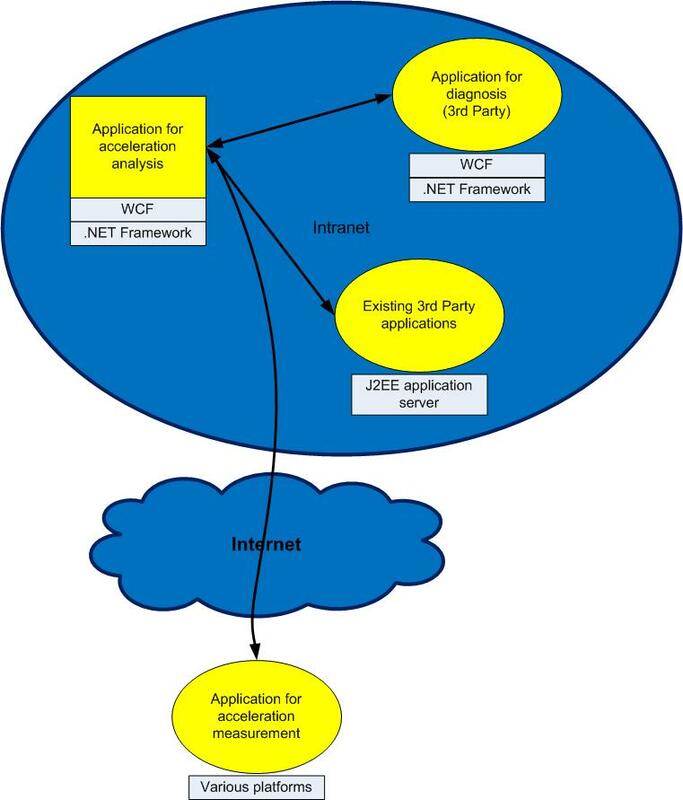 Windows Communication Foundation (WCF), part of the .NET Framework, provides the first unified programming model for rapidly building service-oriented applications. It enables the development of secure, reliable, transacted services that interoperate with current Microsoft investments and non-Microsoft platforms. With the .NET Framework 3.5 release, WCF added support for building REST style services. REST, an architectural style for building distributed hypermedia driven applications, involves building resource-oriented services by defining resources that implement uniform interfaces using standard HTTP verbs (GET, POST, PUT, and DELETE), and that can be located/identified by a URI. REST support within WCF was enhanced with the release of .NET Framework 3.5 SP1 to add make REST development easier and to support the ADO.NET Entity Framework entities in WCF contracts. Improvements were made around UriTemplate flexibility and the Visual Studio tooling to increase developer productivity. A good tutorial on how to create RESTful Service using Visual Studio can be found here. WebMessageFormat parameter defines the data exchange format. In this example JSON format is used. UriTemplate parameter defines the URI template. The parameters within curly braces represent variable values. Everything else in the URI (not enclosed within curly braces) is considered a static part of the URI. //TODO: notify user about the error! On client side there is a service called CommunicationService and additional class RestClient. Function arguments are sent to the server by generating the url address which has to be the same format as the template specified in the service interface on the server side. .i("REST", "<jsonname" + i + ">\n"
+ i + ">\n" + "<jsonvalue" + i + ">\n"
The example above is just a brief overview of practical RESTful service realization using WCF and data exchange with Android client. More detailed explanations of each segment could be found at the given addresses. What Is Windows Communication Foundation? This post is the first in a series of upcoming MSDN articles on creating a claims-aware web service and consuming it from SharePoint BCS. In the short time that I’ve worked with claims-based authentication, what I experience is that while there are not very many steps to get it working, if you get anything wrong, then it just doesn’t work, and it takes some effort to figure out the problem. My approach in these articles is to supply some procedures with small steps, with instructions all along the way to validate that what you have done so far works properly. So the first step is to create a WCF web service, host it using IIS, and validate that it is working. (This post) Shows how to create a very simple web service using WCF. Shows how to host this web service using IIS. Determining Caller Identity within a WCF Web Service Enhances the example so that the Web service can authoritatively report on the identity of its caller. Establishing Trust between a WCF Web Service and the SharePoint 2010 Security Token Service Configures the example developed in the previous article so that it uses a self-signed certificate to support a secure connection. Consuming a Claims-Enabled WCF Web Service as an SharePoint 2010 External Content Type Walks through the procedure for consuming a claims-enabled web service as a SharePoint 2010 External Content Type. These articles were written by Saji Varkey, and Bin Zhang, and me. They will be published on MSDN sometime in the near future. After they are published, I will update these posts to point to the MSDN articles. Juan Balmori Labra was the program manager behind these articles. This post shows how to create a very simple web service using Windows Communications Foundation (WCF). There is one special characteristic of the web service that I present in this article, which is that while it is very simple, it can be consumed as an External Content Type (ECT) from Business Connectivity Services (BCS). In addition, the procedure presented in this post shows how to host this web service using Internet Information Services (IIS). This web service contains only two methods: a ‘finder’ to retrieve a collection of items, and a ‘specific finder’ to retrieve a single item. The ‘database’ behind the collection is just an initialized list. The ‘schema’ of this little ‘database’ is very simple. It is a single flat table consisting of two fields – an integer CustomerID, and a stringCustomerName. CustomerID is a unique ID. After building and configuring this web service, you can use SharePoint Designer 2010 to create an ECT from it, and then view the data in a SharePoint list. As you probably know, BCS in SharePoint server 2010 is read/write. If you supply additional methods to create, update, and delete items, then you can fully maintain the data in a list. I’m interested in keeping this web service absolutely as simple as possible, so this is only a read-only implementation. My focus will be completely on the security and identity issues. How the database is stored, where it is stored, or the details of the schema are irrelevant to the topic at hand. The procedure presented here is for Windows Server 2008 R2 and Windows Server 2008. You can build this web service using either Visual Studio 2010 or Visual Studio 2008. You can build, run, and test the web service presented in this post on any development computer that is running IIS. However, if you want to connect to this web service as an ECT using BCS, then build this example on a SharePoint 2010 development machine, so that the SharePoint 2010 server and the example web service are running on the same computer. You can put this web service on a different machine, and consume it as an ECT, however, in that situation, you must either remove security, or you need to create a claims-aware web service. As I mentioned, the procedure that I present here shows how to host the web service under IIS. This is the way that most implementers of such a web service will want to host it. Hosting it as a service of IIS gives lots of benefits such as process recycling, process health monitoring, and message based activation. This procedure is for Windows Server 2008 or Windows Server 2008 R2. In both cases, I started on a machine that had a fresh, patched install of the operating system. I then installed the necessary roles and features so that Internet Information Services (IIS) was installed and running. In addition, the procedures presented in this post require the .NET Framework 3.5.1, and either Visual Studio 2008 or Visual Studio 2010. Use Server Manager to install the Web Server (IIS) Role and the.NET Framework 3.5.1 feature. To run this example, the only Role that is required is Web Server (IIS). After adding the Web Server (IIS) role, the Roles wizard will ask you to select Role Services. Select Application Development. To install the .NET Framework, add the .NET Framework 3.5.1 Features. When you are installing this feature on Windows Server 2008 (not R2), after selecting the .NET Framework 3.0 Features, select WCF Activation. This is selected by default on Windows Server 2008 R2. Both WCF and IIS must be installed for IIS-hosted WCF services to function correctly. The procedures for installing WCF (as part of the .NET Framework 3.0) and IIS vary depending on the operating system that you are using. If you are installing on an operating system other than Windows Server 2008 or Windows Server 2008 R2, seeMicrosoft .NET Framework 3.0 Redistributable Package to download and install the .NET Framework 3.0. SeeInstalling IIS for further instructions in that area. To run this example, you need to register this version of WCF and update scriptmaps at the IIS metabase root. 1. Start a Visual Studio Command Prompt. Run as administrator. Click Start => All Programs => Visual Studio 2010 => Visual Studio Tools => Visual Studio Command Prompt. Right-click, select Start as Administrator. The Visual Studio command prompt is located in a similar place for Visual Studio 2008. This didn’t need to be a Visual Studio command prompt, but the following step needs a Visual Studio command prompt, so for efficiency, I created one in this step. 1. Create a directory, C:\MyWebService, which will contain the web service. If you use a different directory than this, you will need to alter these procedures as appropriate. 2. Start Visual Studio 2010 (or 2008). 3. Click File => New => Project. a. For the installed template category, select WCF. b. For the template, select WCF Service Application. c. Target the .NET Framework 3.5.
d. For the location of the project, browse to the directory that you created in step 1.
e. Name the project CustomersService. f. Do not create a directory for the solution. Note: Don’t forget to target the .NET Framework 3.5. By default, Visual Studio will target the .NET Framework 4.0, and you must change to 3.5 for the procedure presented here to work. 4. In the project, rename IService1.cs to ICustomers.cs. Visual Studio 2010 will ask whether you would also like to perform a rename in this project of all references to the code element ‘IService1’? Click Yes. Actually, we’re going to replace all code in all modules, so it doesn’t matter whether you click Yes or No. 5. In the project, rename Service1.svc to Customers.svc. After renaming these items, the Solution Explorer will look like this. 6. Replace Customers.svc with the following single line of markup. Right click on Customers.svc, and selectView Markup. Copy, paste, and save. 7. Replace Customers.svc.cs with the following code. 8. Replace ICustomers.cs with the following code. 9. Replace Web.config with the following markup. In Solution Explorer, right-click on Web.config and selectEdit. Copy, paste, and save. Important note: this is the Web.config that configures this specific web service. It resides at C:\MyWebService\CustomersService. 11. Add an application to the default web site. a. Start Internet Information Services (IIS) Manager. Click Start => All Programs => Administrative Tools =>Internet Information Services (IIS) Manager. b. In Internet Information Services (IIS) Manager, expand Sites, and right-click on Default Web Site, and selectAdd Application. c. In the Add Application dialog box, in the Alias field, enter Customers. In the Physical Path field, browse toC:\MyWebService\CustomersService. Click OK twice. Another interesting approach to testing the Web service is to use the WCF test client. Start a Visual Studio command prompt (or use the one that is open from the beginning of this procedure). Enter wcftestclient to run the WCF test client. Click File => Add Service. Enter http://localhost/Customers/Customers.svc as the endpoint address, and click OK. If the service was added successfully, you will see the methods that the service exposes. Double-click on GetAllCustomers. This opens a window that allows you to configure the request and invoke the request. Click on Invoke to see the response from the Web service. In the next article, we will add some Windows Identity Framework (WIF) features, which we can use to determine the identity of the caller. Hiding content from Facebook users until they ‘Like’ your fan page is a great way to increase the amount of fans following your page by giving users extra incentive to actually want to ‘Like’ your fan page. By utilizing fb:visible-to-connection a handy piece of built in FBML code we will be able to easily hide content from users until they ‘Like’ your page and become a fan. While this technique is not new and there are already numerous tutorials around on the subject our approach is different. We have simplified our technique in this tutorial to help alleviate some of the confusion we noticed from other tutorials. We have also solved a major issue for page admin’s who cannot see the actual fan content while logged in, however you still must log out in order to test the non-fan content. The first step is to build the DIV which will house all of your content that will be visible to your Facebook fans. In order for the non-fan content DIV to be able to cover up the fan content DIV when a user hasn’t ‘Liked’ your fan page a specific height must be used, this same height will also be used on the non-fan content DIV in Step 2. Also please note the usage of the attribute z-index; this will be addressed in Step 2. The next step is to build the non-fan content DIV which will house your image or content telling users in whatever way you choose to ‘Like’ your fan page in order to view the hidden content. In Step 1 we set a specific height for our fan content DIV, we are going to use that same height on our non-fan content DIV in order to make sure we cover up all of the content we want to hide from non-fans. We will also use that same height and apply it as a negative number to our margin-top attribute; this will ensure that our non-fan content DIV covers up our content DIV exactly pixel for pixel. Remember in Step 1 we set our z-index attribute to 1, well on our non-fan content DIV we will set the z-index attribute to 0, this will ensure that when you are logged in as admin you will always see the fan content instead of the non-fan content. The next step is a relatively simple step and is just a coding preference to keep all of the content contained, it is totally optional. Apply the following CSS and wrap your previous two DIVs with the wrapper DIV. The benefit in doing this step is that by setting the overflow attribute to hidden we guarantee that all of our content stays contained within the wrapper DIV. Please note that if you’ve used any other wrapper DIVs in your code please make sure that none of the code conflicts. The last and final step is to make it all work using FBML’s fb:visible-to-connection code to show content depending on whether or not the Facebook user has ‘Liked’ your fan page. Basically all that needs to be done is wrap both of your content DIVs inside of the fb:visible-to-connection tag and then wrap all of your non-fan content inside of the fb:else tag. After you have your final code upload it to your Static FBML tab and test it while both logged in and logged out, while logged in your fan content should be visible and while logged out your non-fan content should be visible. It’s that simple! This tutorial will only work for Facebook Static FBML.